In this tutorial, we will guide you through creating a broadcast message. 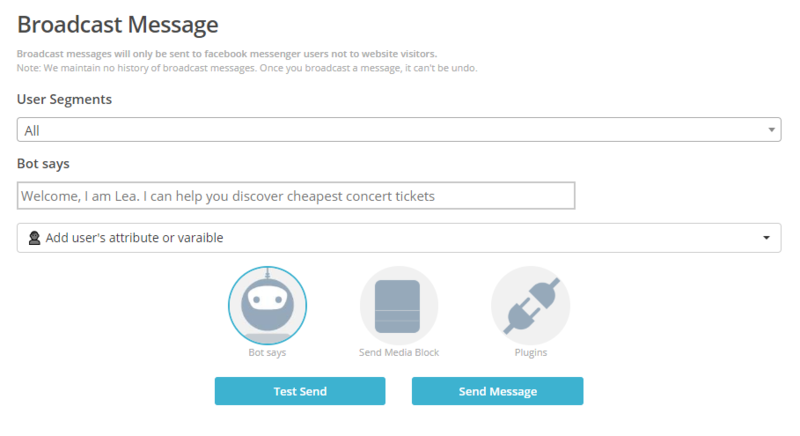 You can easily send broadcast messages whenever you want to all the users that have once interacted with your chatbot. This way you can reach out to your users, hassle free! Log into your account on Botsify and from the dashboard select the chatbot for which you want to broadcast messages. 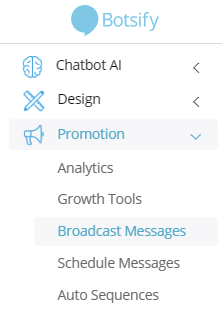 Go to Promotion and select Broadcast Messages from the left navigation. You now have a variety of options here. The content of the message can be customised to create the perfect broadcast message. Whatever content the bot sends is up to you to decide and when you are done with it. Message can be broadcasted when you press the “Send Message” button on the bottom. We recommend using the “Test Send” button before doing a broadcast so it will give you a preview of what your broadcast message will look like.